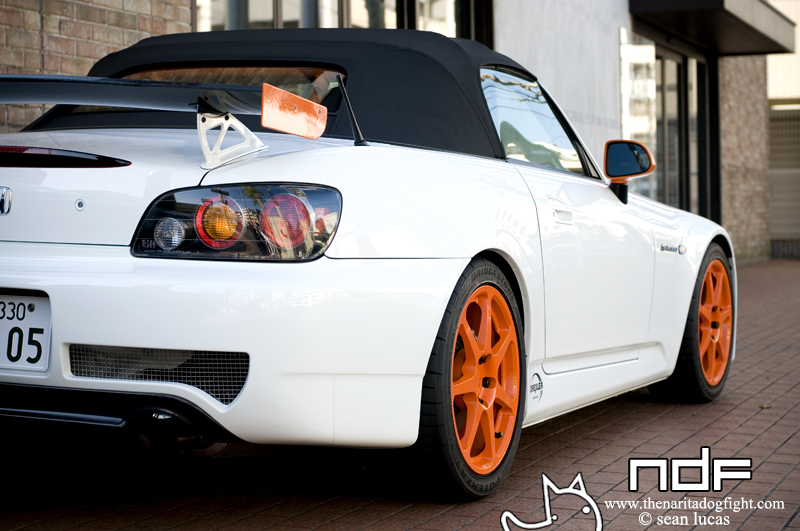 I recently visited the ASM showroom in Yokohama to snag some shots for a ‘Locale’ post, and happened across this orange highlighted AP1 sitting out front. Simple, but tastefully modified with a choice of ASM parts; tow hook, vented hood, Recaro’s (of course), rear wing and wheels. The white body makes the orange painted parts stand out even more, and although not my style, doesn’t look too bad. At least it’s not way overdone. Click past the break for a few more. Say ‘Cheezu’! It’s hard to see, but the bumper has a small exposed lip of carbon. The way it is painted gives the illusion that it’s indented. I’m pretty sure ASM makes this as well. 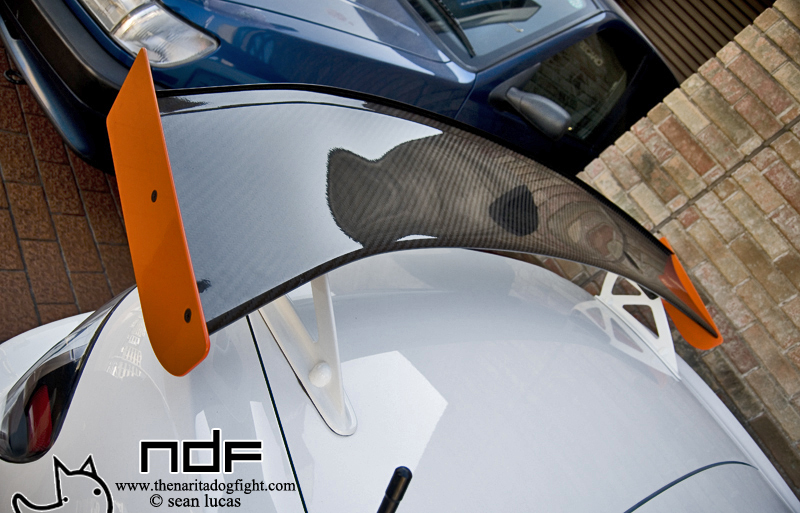 ASM carbon wing. The weave looks really nice! This wing is pretty similar to the OEM CR version, but I think it sits quite a bit lower, and the end plates aren’t quite as big. Overall it’s looking pretty fresh. It’s got to be either an employees car, or some loyal customers. I wonder what engine and suspension mods it has. Some ridiculously expensive ASM coilovers no doubt. If you’re into ASM, they have a pretty sweet blog you should check out. Stay tuned for a look throughout ASM’s crazy showroom. Where can i buy that body kit? Im in love with it..